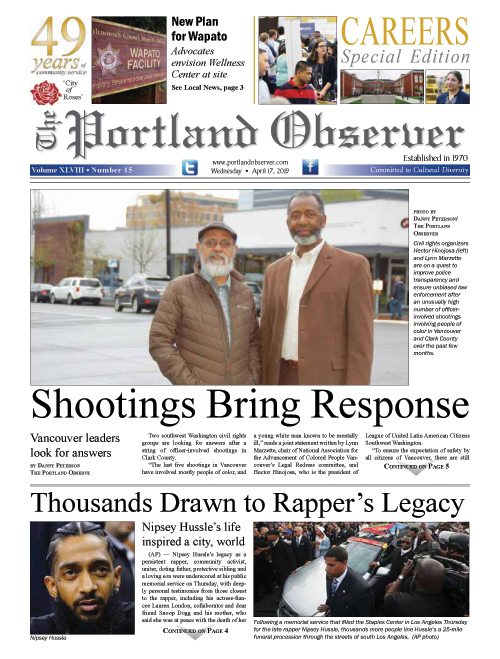 Po’Shines Café De La Soul, a church-operated, nonprofit Cajun and barbecue restaurant known for its down-to-earth soul food and public service mission, will expand its reach by serving meals at the Billy Webb Elk’s Lodge in north Portland. On Friday, Oct. 27, Po’Shines and the historic lodge are co-hosting a Masquerade Ball to celebrate the new community partnership. Po’Shines will begin offering dinners at the lodge starting in November and serve each Thursday through Saturday evenings, as well as serving brunch on Sundays. The Masquerade Ball will also commemorate a new album release from Po’Shines’ founder Pastor E.D. Mondainé. Linking the Billy Webb Elks with Po’Shines is particularly poignant in that it marks a new chapter of fellowship between old and new anchors in the black community. The lodge was originally a Colored YWCA; it provided USO services to black soldiers in World War IIl; and became a community hub after 1948’s Vanport flood. Po’Shines has become a heartbeat in the community as a non-profit restaurant providing culinary training for at-risk youth and young adults. “We’re excited for the opportunity, it’s about investing in lives!” Mondainé said about the new relationship. The Masquerade Ball will be held from 7-11 p.m. Cost for the event is $25, which includes food and entry for a prize for best costume. Ballroom attire, masks and tickets are required at the door. Tickets can be purchased online at Eventbrite.com.